Few of us are strangers to unexpected expenses. A financial emergency can occur at any given time, no matter how diligent and prepared you think you’ve been. Whether it’s a sudden job loss, large medical expense, or major home repair, life throws obstacles at us that sometimes come at a large cost. This is why those in the personal finance realm preach heavily on the importance of an emergency fund. This money stash can help you when an unplanned expense pops up, without your having to dip into things like retirement accounts or lines of credit. 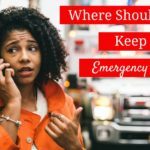 If you prepare and have an emergency fund ready, it can lessen the pinch of these sudden bills. A bare bones budget is a budget reduced to the minimum spending you need to survive and still maintain your financial responsibilities. After a financial emergency, this stripped budget is necessary for several reasons. For one, it lets you know exactly how much income you need in order to get by and what your burn rate will be if your income doesn’t match up. A bare bones budget also lets you know how long your emergency fund will last, so you can adequately plan if it’s in danger of running out. To create a bare bones budget, you’ll need to itemize your current expenses just like you would when creating a normal budget. At first, make sure you include everything from rent/mortgage to groceries to occasional shopping. Then, eliminate all expenses you can go without, such as restaurant dining or other entertainment spending. No two bare bones budgets are equal. Some people may have more categories on their essentials list, depending on their circumstances. It’s important to be honest about needs versus wants. You may think your morning stop at the coffee shop is a necessary part of your routine, but be honest with yourself. You’ll need to be realistic in order to get a true assessment of how much money you need to survive and stay afloat each month. It’s bare bones for a reason; it’s not supposed to be comfortable. Housing: Housing is usually people’s largest monthly expense. There are multiple ways to save money on housing. 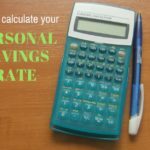 The extent you can go for savings will depend on your individual circumstances. One option is to get a roommate, or rent out a room through Airbnb. If you have the space, this option can reduce your housing expense by half or more! Another option is to move in with relatives. Of course, these options won’t work for everyone — namely people who have children or don’t have any close relatives nearby. If the opportunity presents itself, however, you should seriously consider it. Saving on housing can help you get ahead on your finances very quickly. Coupons: There are coupons for just about everything nowadays. Two categories that offer a lot of savings via coupons are groceries and personal care items. If you match your grocery shopping with your grocery store’s weekly ad and manufacturer coupons, you can snag a considerable amount of savings. You may need to look around to find the best deals on things like toiletries. The best deal could be at a pharmacy, wholesale club, or retail store, depending on the sales cycles. Debt: As previously mentioned, you should only be paying the minimum payments on your debt when using a bare bones budget. You can even call your credit card issuer to ask for a lower minimum payment if needed. No, this is not ideal for paying down your debt, but that’s not the short-term goal right now — rebuilding your emergency fund is. Another thing you can negotiate is the interest rate on your credit card. Simply call your credit card issuer, explain your situation, and ask for a reduction in interest rate. You’d be amazed at how cooperative credit card issuers can be if you’re a loyal cardholder. 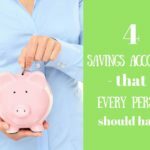 As these additional savings add up, you’ll find it easier to rebuild those accounts that you depleted during your financial emergency. Freelance: If you have a highly desirable skill, freelancing is another way to make extra money. You can do anything from writing to photography to graphic design. You may even find that you enjoy your freelance work so much, you continue to do it even after you’ve reached your savings goal. Sell unwanted items: Selling unwanted items is a quick way to bring in cash when you need it. Some things you can sell are clothing, electronics, unused furniture, and artwork. Craigslist is one established website where people go to sell and buy items from other people. There are also plenty of mobile apps like OfferUp and LetGo that facilitate local sales between people. Be sure to also search Facebook — many neighborhoods and even counties have private yard sale pages you can request to join. In addition, you can sell things online and ship them via eBay (this works best for smaller items). There’s another benefit to making extra money besides reaching your savings goal faster. It also creates more financial security and gives you peace of mind. If you have that financial buffer, you don’t have to worry as much about not being able to meet your budget each month. After a financial emergency happens, the last thing you’ll be thinking about is the occurrence of another one down the line. 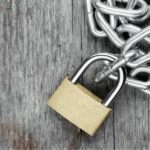 There will be so many other immediate things on your plate that you may forget that you still need to protect yourself from falling into an even deeper financial hole. This is a risky situation to be in. It’s important, especially at times like this, to make sure you do what you can to prevent further financial damage. What I’m talking about here is insurance. Insurance is your safety net from falling into debt when catastrophic events occur. For example, car insurance protects you from the financial repercussions from an accident harming another vehicle or person. Renter’s insurance will help you replace your personal belongings in the event of fire or vandalism. Health insurance covers a large portion of your medical bills, should you need to see a doctor or enter the hospital. It’s easy to think that these insurance policies aren’t necessary, especially if you haven’t experienced a situation in which you needed one of them in a while. But having an accident without them can put in you in a desperate situation. As tempting as it may seem, don’t remove insurance policies from your bare bones budget. Remember that you can always find additional money-making opportunities if you’re struggling to meet your budget. Although difficult, rebuilding your savings after a financial emergency is definitely possible. Let’s take a look at Julie’s situation, as an example. Julie’s car began experiencing some noticeable wear and tear after she owned it for about 10 years. The engine needed to be replaced. Since driving is Julie’s only method of commuting to work, she needed to get the repair completed right away. It set her back $3,000, which was her entire emergency fund. The first step Julie took in rebuilding her savings was to reduce her spending to a bare bones budget. She evaluated her expenses and eliminated the things she didn’t need, such as her Hulu subscription and nail salon visits (saved: about $60 a month). The next thing she did was overhaul her spending on food. She stopped eating out at restaurants and started grocery shopping based on weekly sales (saved: about $175 a month). At the same time, she started looking for part-time work and soon landed a weekend job as a cashier at a local retail store (earned: about $500 a month). She put all her additional savings and extra income into her savings account. After several months, Julie was able to replenish her emergency fund to the full $3,000. Spending $3,000 on a single car repair would be financially devastating to a lot of people. By being realistic and staying focused, Julie was able to turn a tough situation into a more manageable situation. Rebuilding your savings after a financial emergency takes persistence. Finding ways to trim your budget and make extra money are two important parts of the process. Remember not to skip out on insurance just because you’re in a tough situation! Being uninsured only creates more possibilities for financial havoc. Most of all, stay hopeful. Taking a large financial hit is difficult for anyone. With time, you’ll be able to replenish your savings and feel secure again. This is great advice! I’m in a position right now where my emergency fund has come in handy, but I hate the thought of having to start all over again. I think just setting yourself a timeline when you bounce back from something like this is so important so you know when you’re back on track. It sounds like you’ve established an excellent system, Kenneth! That’s a great example of practicing what many of us in the personal finance world preach. You are supposed to spend less than you earn every month and save or invest the difference. We do, by about $1,000 a month. This came about by making choices every day for years, like brown bagging my lunch to work every day, using over the air TV only, etc. Now our home is paid for, we are retired, and I am not touching my IRA for 3 more years until I am 70 years old and must make Required Minimum Distributions. Also, in our budget, we have a line item for Maintenance, which is set at $300/mo. Anything that goes wrong with our home or our car (we get by on one $5,000 car) will be paid for by the accumulated funds in this savings category. For example, I just changed antifreeze, transmission fluid, spark plugs and tires on my car. It was just a small dent in our Maintenance funds category.